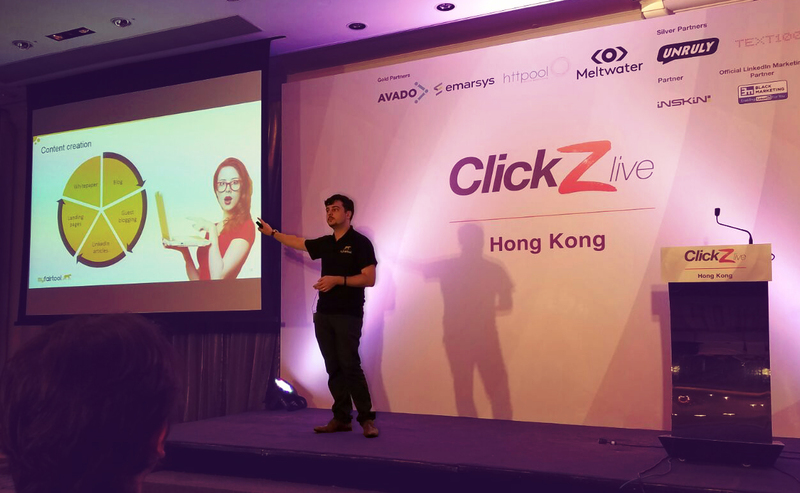 I was recently invited as a featured speaker at ClickZ Live Hong Kong to represent myfairtool and discuss marketing strategy. You wouldn't go to a restaurant or hotel without checking TripAdvisor, OpenRice, FourSquare or one of the other popular review websites. The same phenomenon now applies to B2B: more and more platforms help comparing B2B services and products. But is isn't the only source of comparison: Social Media, blogs and words of mouth make it much easier to get feedback on a specific product before purchasing. 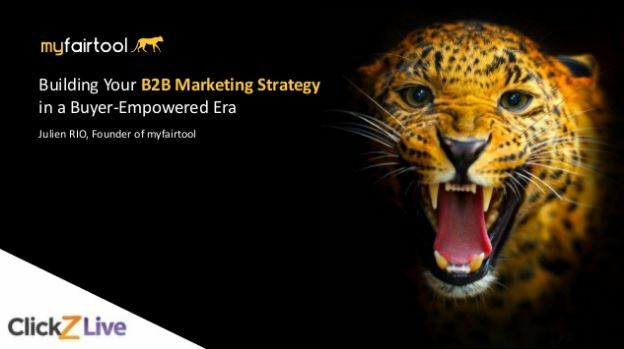 This new era of empowered buyers changes the way B2B marketers should do business. 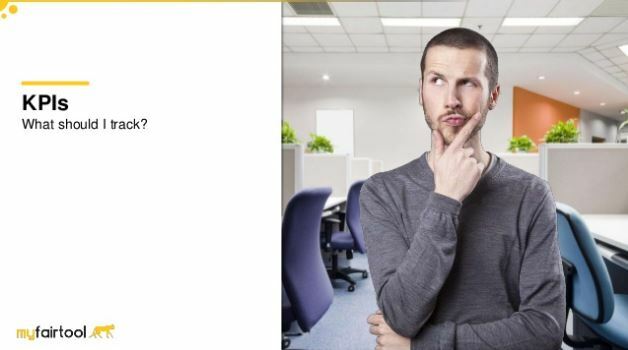 What is a B2B marketer in 2016? B2B Marketers have a very different role nowadays compared to 10 years ago. You can no-longer rely on advertising only - those who consider that finding the right spot in a magazine for an A4 ad is doing marketing are deadly wrong. The role of marketers has changed a lot in the past few years. Now it involves reporting, strategy, online & offline, sales, trade shows, conferences, SEO/SEM/ASO, etc. It is now expected that marketing people track everything they do and constantly report on results. 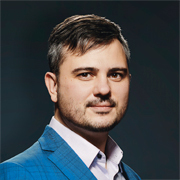 But you need to differentiate High Level KPIs (on a company level, such as ROI for example) and Actionable KPIs (leads captured, conversions, etc) that marketers can have an impact on. Most offline strategies are now obsolete because expensive, very localized, difficult to target and almost impossible to track. But online might not be enough as it lacks human interaction. How to pick the right strategy? Most offline strategies shouldn't be considered - except if you have a very local business with a large potential audience. 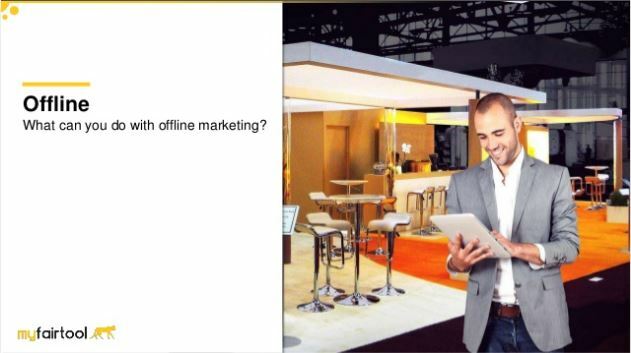 Nevertheless, there is one type of offline activity that is still highly beneficial for B2B companies: trade shows. Exhibitions are the only place where you meet with qualified prospects that both have the time and the interest to listen to you. 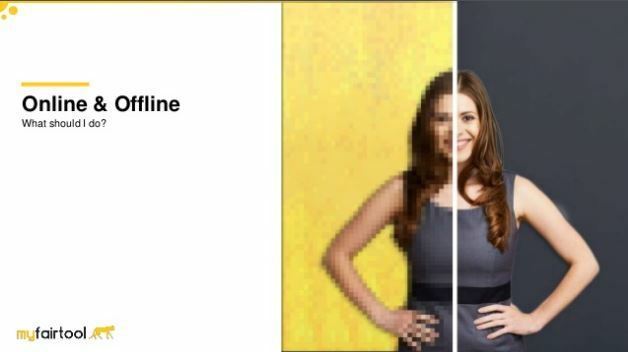 It is essential to be present online. But what should you be doing exactly? Remember - you live in a buyer empowered era, which means you want people to trust you. You need to increase your credibility. Develop a complete content strategy - blogging, guest blogging, LinkedIn articles, whitepaper, landing pages are a few examples of the right approach to content strategy. 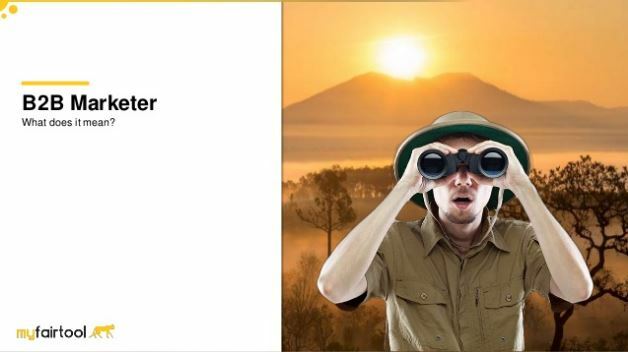 To go a little deeper in terms of content strategy, I invite you to review my previous presentation at the Digital Marketing & Strategy Innovation Summit where I shared "The secrets of a good content strategy". 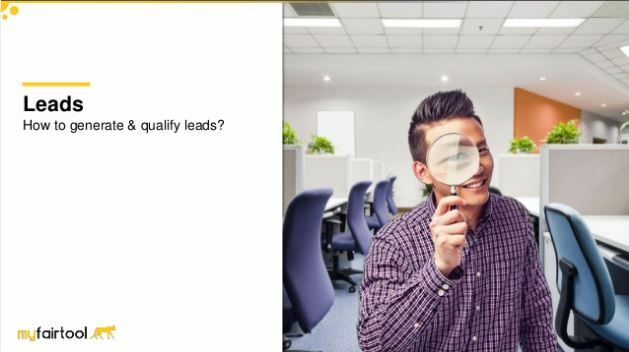 How to generate and qualify leads? Your marketing funnel is very simple. 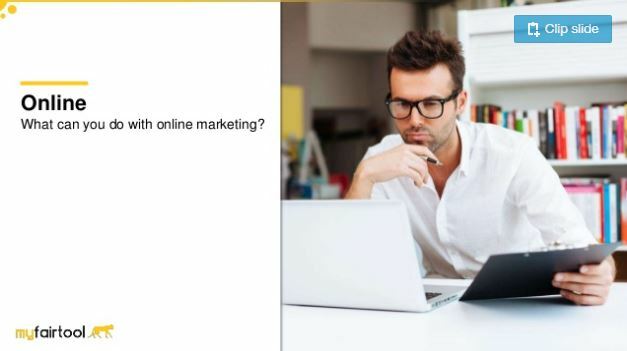 You need to generate leads through various campaigns, both online and offline. You then need to qualify these leads in terms of buyer persona, needs and sales funnel location. 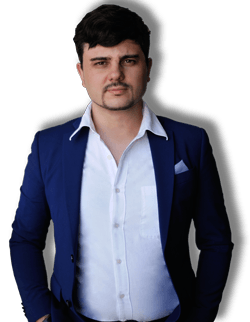 Once done, you will be able to send targeted content and messages to push your prospects further down your funnel. 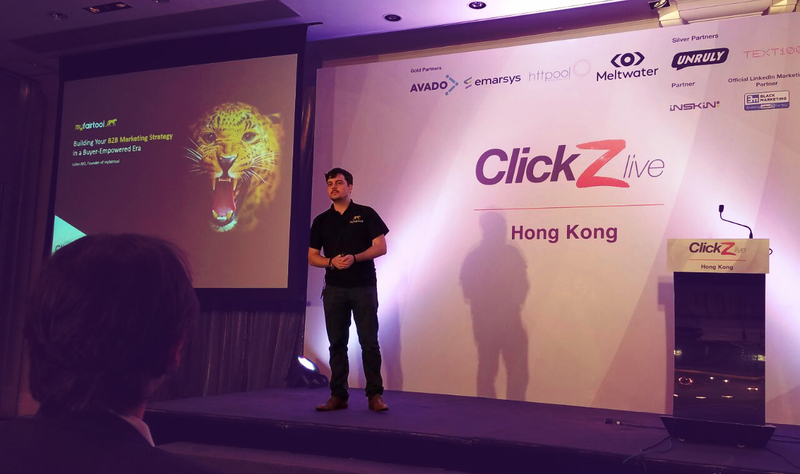 This was just a short overview of my presentation at ClickZ Live Hong Kong 2016 but you can find my complete presentation in free access here: "Building Your B2B Marketing Strategy in a Buyer-Empowered Era" and share it around with other B2B Marketers looking to improve their current strategy. You should now be all set to review your current strategy and find out how to reach your empowered buyers with better tools.